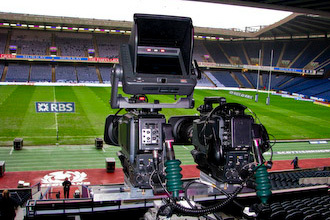 The first live-by-satellite 3D sports broadcast - of Scotland versus England from Murrayfield on Saturday afternoon - was a small but significant critical triumph in the history of moving pictures with rugby players in them. I have seen the future of big-event sports broadcasting and it wears funny plastic glasses and sits in the dark with its mouth wide open. BBC Resources, in collaboration with a consortium including Axis Films, chose last weekend to trial a televisual experience intended to be several notches more immersive than you might get at home over a mug of tea and a hazelnut Boaster. Programme-makers are showing an interest in tapeless production despite the steep learning curve it requires. 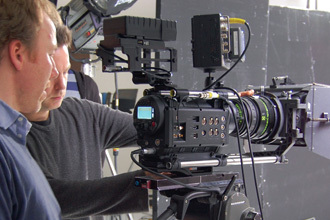 If high definition has been the big story in broadcast technology in recent years then 2008 is set to be the year that tapeless production takes off. 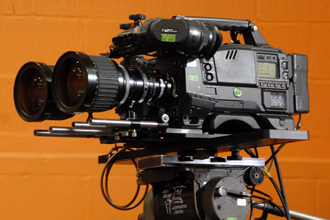 Increasing levels of HD commissions from broadcasters, coupled with the emergence of a new breed of broadcast-quality tapeless cameras is making tapeless HD a reality. 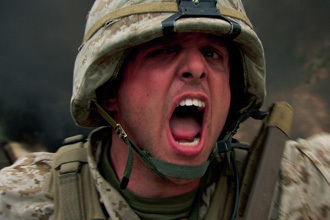 How film-maker Nick Broomfield’s latest film used HD to detail the reality of the War in Iraq. Film-maker Nick Broomfield is no stranger to documenting tragedy. In 2006, he dramatised the real life story of the 23 Chinese cocklepickers who drowned at the hands of Chinese gangmasters in Morecambe Bay in 2004. For a long time 3D movies and TV shows have been a bit of a gimmick. They have been used to re-energise a tired franchise, help a film stand out at a crowded box office or to give TV viewers a glimpse of what the future might hold. But many in the 3D production industry now say that future may be closer than ever before. Film makers, technology companies and post-production outfits recently gathered at the historic Shepperton Studios to assess just how far 3D has come and where it goes next. 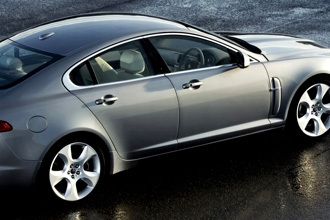 Tangerine Films recently produced a spot for Jaguar’s new XF range, produced entirely on the Red One Camera System, with full backup & on-set support from Axis Films. Shot on location in the south of France north of Nice & Monaco, the cameras were subjected to the extremes, mounting on fast moving tracking vehicles and attached to the cars via the Quickrig system. Helicopter Film Services also provided a Red Camera-modified Wescam for some spectacular sequences in the Verdon Gorge.